Community Support Grants are investments United Way makes into our community to help with an emerging or critical need. Open to any nonprofit agency meeting the criteria of the grant – not just United Way partner agencies – these one-time grants give nonprofits the opportunity to start a new program, enhance an area of service or purchase needed equipment and supplies. Community Support Grants are another way United Way makes our community a better place for all of us. Recently, the United Way of Central Missouri awarded $115,949 in one-time grants to health and human service organizations in our community to address the immediate, critical health and human service needs and demands in Mid-Missouri. Since 2002, the United Way of Central Missouri has provided grants totaling over $1 million to agencies and programs in the counties we serve; which include Cole, Moniteau, Osage, Miller, Camden, Morgan and southern Callaway counties. 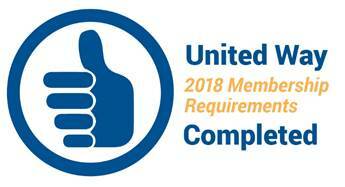 United Way was overwhelmed by the response to the grant opportunity -- over $315,419 in requests from 35 health and human service non-profit agencies. The volunteers of the Strategic Funding Committee vetted these worthy requests, and were challenged to choose the grant recipients from many deserving organizations. After a rigorous evaluation process, the United Way of Central Missouri Board of Directors approved $115,949 in grant funding to nineteen agencies. Among the grant recipients were nine United Way partner agencies and ten other health and human service agencies. The United Way is proud to play a small role in the great work these agencies are doing in the central Missouri community. 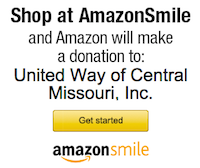 This United Way of Central Missouri partner agency provides an informal educational program through which parents, interested adults, and youth help young people develop the confidence and social skills, decision-making abilities, and physical skills necessary for richer, responsible lives. United Way funding will be used to purchase Robotics kits to start new Robotics programs in Cole and Miller counties. This United Way of Central Missouri partner agency educates, provides crisis response, supports and advocates for foster and adoptive children, youth and families in central Missouri. United Way grant funding will support the purchase of a case management database system and equipment to manage the database. This case management database will provide a centralized, web-based database to track clients’ cases and relationships of clients, peers, and team. It will capture and manage demographics, relationships, case notes, documentation, outcome tables and reports, and assist with survey and feedback reminders to better serve the clients of CMFCAA. This agency provides comprehensive services that benefit children, birth through 3 years of age, with developmental disabilities in Camden County. United Way grant funding will purchase playground equipment/items to assist in improving the outdoor playground space to create a stimulating and learning atmosphere for children with special needs. This United Way of Central Missouri partner agency educates and informs the community about the problem of underage alcohol and drug use and works to bring together parents, schools, law enforcement, businesses, churches, and teens to find ways to encourage teenagers to be drug and alcohol-free. United Way grant funding will be used to implement several CDFY programs in Moniteau County. CDFY plans to provide facilitated programs for youth in 3rd grade as well as 7th through 9th grade. All programs promote good decision making and provide coping mechanisms for confronting situations that involve drugs, tobacco, alcohol, peer pressure, bullying, violence, and suicide. The program is very interactive and sponsored in collaboration with JCMG, SSM Health St. Mary’s Hospital and Capital Region Medical Center. This United Way of Central Missouri partner agency helps low-income women meet their employment goals and build self-confidence by providing appropriate interview and business apparel, motivation and follow-up support. United Way grant funding will support the cost of a re-branding effort to help raise awareness about Dreams to Reality’s mission of women helping women achieve success. This agency serves as a “bridge” between cultures for Hispanics in Cole and Moniteau counties and assists to overcome language, cultural, faith and social need barriers so our Hispanic neighbors will feel welcome and thrive. United Way grant funding will be used to help cover the cost of gas, maintenance and insurance for the van that is used to transport clients to medical appointments. This agency serves as the foundation of a family for the child who needs one. In Jefferson City, the HALO Home provides the foundation of a family for up to 48 homeless youth at a time. United Way grant funding will be used to purchase furnishings for the learning center room in the HALO Home. This United Way of Central Missouri partner agency provides outreach services including volunteer respite, volunteer transportation, and medical equipment for temporary use. United Way grant funding will purchase a second lift chair for a new program, The Caring Chair, dedicated to breast cancer patients who are going through treatment and find it is difficult to go from a sitting position to a standing position given use of the arms post-surgery can be difficult. This lift chair will assist breast cancer patients during the healing process. This United Way of Central Missouri partner agency provides sliding fee scale education and care for children ages birth to five in four developmental areas: social, emotional, cognitive, and physical. United Way grant funding will be used to further training in Conscious Discipline for the staff, children and families they serve. The intent is to continue to build on teachers’ skills to manage challenging behaviors and to strengthen the families through parent education nights to aid against child abuse/neglect, and give the parents needed skills to manage their emotions and help regulate their children’s emotions/behaviors appropriately. The JCPS Foundation is a not-for-profit Missouri corporation that exists to support excellence in public education in the Jefferson City School District. United Way grant funding will purchase several audiometers for hearing screenings at elementary schools. This United Way of Central Missouri partner agency provides services to help victims of domestic violence and sexual assault find ways to live their lives independent of abuse. United Way grant funding will be for efforts to repair a deck at RACS which has been deemed unfit for use under current conditions but is an area that is needed for the women and children living at RACS. This agency is a child-centered program that serves to reduce the traumatization of children and their families after an allegation of child sexual abuse or severe physical abuse. This agency is the coordinating agency in the multidisciplinary team approach to child abuse investigation that includes prosecutors, Children’s Division representatives, law enforcement officers, and medical and mental health professionals. United Way grant funding will help support Kids Harbor parenting classes. This United Way of Central Missouri partner agency is a mentoring organization that provides a one-to-one match with adult volunteers and children ages 6-14, primarily from single-parent homes. United Way grant funding will be used to support the hiring of a part-time Program Coordinator to conduct quality assurance reviews on the match processes, gather and analyze match data based upon annual surveys and provide assistance to the school based Program Coordinators as needed in order to be in compliance with a Big Brothers Big Sisters of America requirement that agencies have a dedicated staff person assigned to conducting quality assurance reviews. This agency provides a place for seniors to find companionship and entertainment and provides a noon-time meal to individuals 60 years of age and older. They also deliver meals to home bound individuals in the Tipton/California area. United Way grant funding will purchase a refrigerator, freezer and a steam table as well as some necessary kitchen supplies. This agency partners with low-income families to help them build homes of their own and move towards self-sufficiency. United Way grant funding will purchase a pump jack scaffold system that will allow work on two sides of a home at the same time. The United Way granted funding for the first system as part of the 2017 grant awards. This partner agency provides nutritionally-balanced meals to homebound adults ages 60 or older. The Senior Nutrition Council also provides congregate meals at its Clark Center. United Way grant funding will be used to purchase items for a media room for the new Senior Center at WestPoint, so clients can receive assistance with technology and/or have a place to gather for time with friends to provide critical socialization for the well-being of the seniors. This agency helps women who suffer from Substance Use Disorder to recover from a hopeless state of mind and body, grow in their faith in Christ and in their responsibility to the community through a 12-18 month structured and disciplined housing program. United Way grant funding will be used to purchase a minivan/passenger van to meet their transportation needs for job interviews, doctors visits, and other necessary travel. This agency provides a fun, educational camp experience for children, teenagers and adults who have disabilities; offers a respite from daily care giving for their family members and healthcare workers; and provides and nurtures a personal development experience for volunteers and staff. United Way grant funding will be used to match funds already secured for a handicapped accessible van to meet camper’s needs. Working Wheels for Working Families strives to build a stronger community by removing transportation barriers for low-income families that want to gain or maintain employment, strive towards their full potential, and ultimately improve their quality of life. United Way grant funding will provide additional resources for reconditioning donated vehicles so they will be road-ready and safe for families in need.